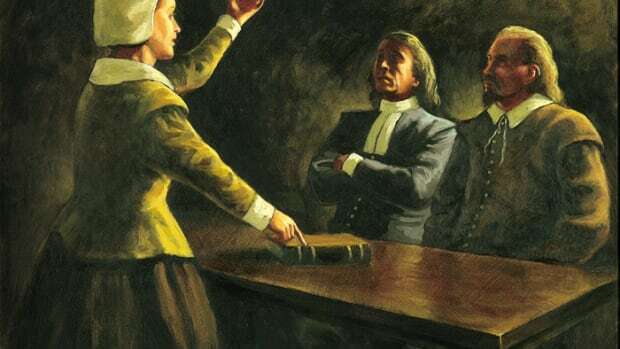 The group that set out from Plymouth, in southwestern England, in September 1620 included 35 members of a radical Puritan faction known as the English Separatist Church. In 1607, after illegally breaking from the Church of England, the Separatists settled in the Netherlands, first in Amsterdam and later in the town of Leiden, where they remained for the next decade under the relatively lenient Dutch laws. 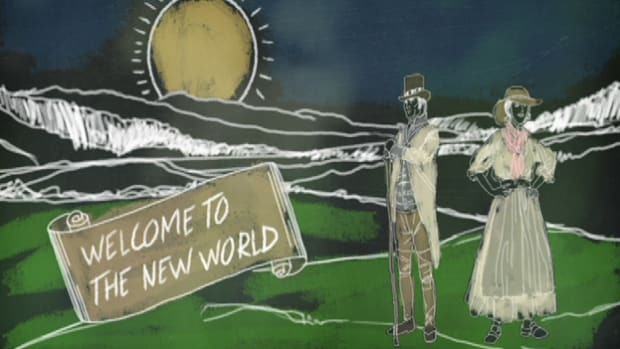 Due to economic difficulties, as well as fears that they would lose their English language and heritage, they began to make plans to settle in the New World. 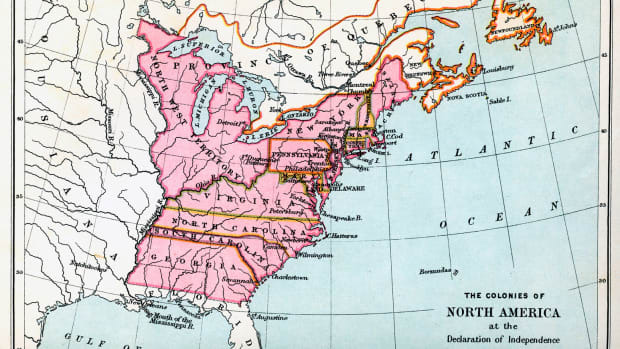 Their intended destination was a region near the Hudson River, which at the time was thought to be part of the already established colony of Virginia. In 1620, the would-be settlers joined a London stock company that would finance their trip aboard the Mayflower, a three-masted merchant ship, in 1620. A smaller vessel, the Speedwell, had initially accompanied the Mayflower and carried some of the travelers, but it proved unseaworthy and was forced to return to port by September. Did you know? Bradford and the other Plymouth settlers were not originally known as Pilgrims, but as "Old Comers." This changed after the discovery of a manuscript by Bradford in which he called the settlers who left Holland "saints" and "pilgrimes." In 1820, at a bicentennial celebration of the colony&apos;s founding, the orator Daniel Webster referred to "Pilgrim Fathers," and the term stuck. Some of the most notable passengers on the Mayflower included Myles Standish, a professional soldier who would become the military leader of the new colony; and William Bradford, a leader of the Separatist congregation who wrote the still-classic account of the Mayflower voyage and the founding of Plymouth Colony. While still on board the ship, a group of 41 men signed the so-called Mayflower Compact, in which they agreed to join together in a “civil body politic.” This document would become the foundation of the new colony’s government. Rough seas and storms prevented the Mayflower from reaching their initial destination, and after a voyage of 65 days the ship reached the shores of Cape Cod, anchoring on the site of Provincetown Harbor in mid-November. 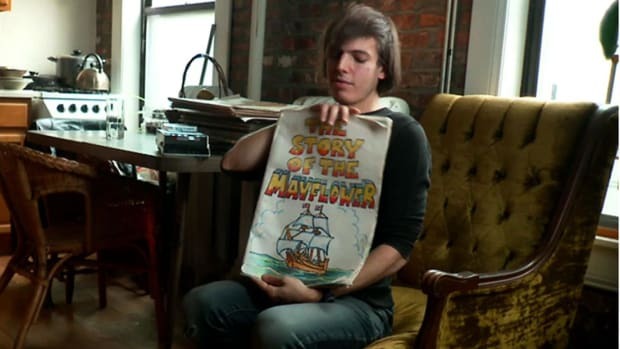 After sending an exploring party ashore, the Mayflower landed at what they would call Plymouth Harbor, on the western side of Cape Cod Bay, in mid-December. 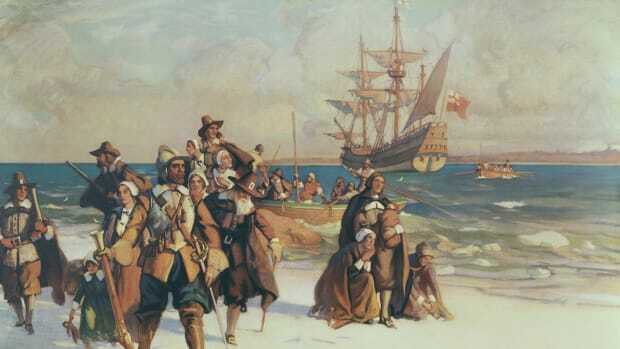 During the next several months, the settlers lived mostly on the Mayflower and ferried back and forth from shore to build their new storage and living quarters. The settlement’s first fort and watchtower was built on what is now known as Burial Hill (the area contains the graves of Bradford and other original settlers). 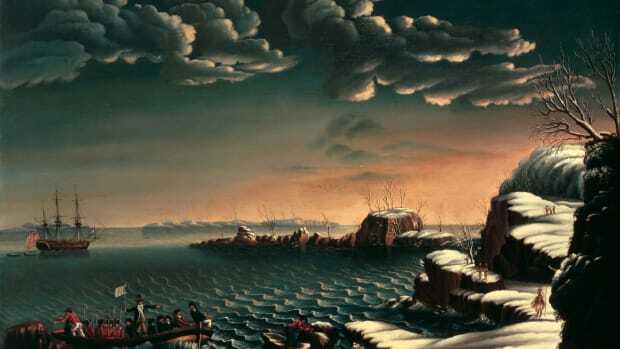 More than half of the English settlers died during that first winter, as a result of poor nutrition and housing that proved inadequate in the harsh weather. Leaders such as Bradford, Standish, John Carver, William Brewster and Edward Winslow played important roles in keeping the remaining settlers together. 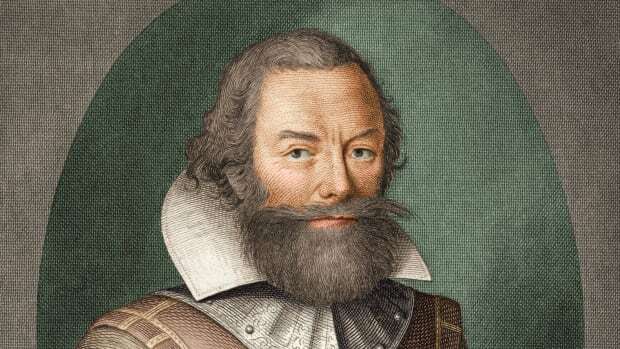 In April 1621, after the death of the settlement’s first governor, John Carver, Bradford was unanimously chosen to hold that position; he would be reelected 30 times and served as governor of Plymouth for all but five years until 1656. Repressive policies toward religious nonconformists in England under King James I and his successor, Charles I, had driven many men and women to follow the Pilgrims’ path to the New World. Three more ships traveled to Plymouth after the Mayflower, including the Fortune (1621), the Anne and the Little James (both 1623). 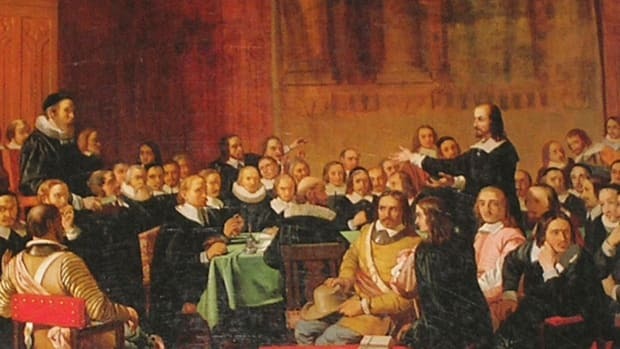 In 1630, a group of some 1,000 Puritan refugees under Governor John Winthrop settled in Massachusetts according to a charter obtained from King Charles I by the Massachusetts Bay Company. Winthrop soon established Boston as the capital of Massachusetts Bay Colony, which would become the most populous and prosperous colony in the region. 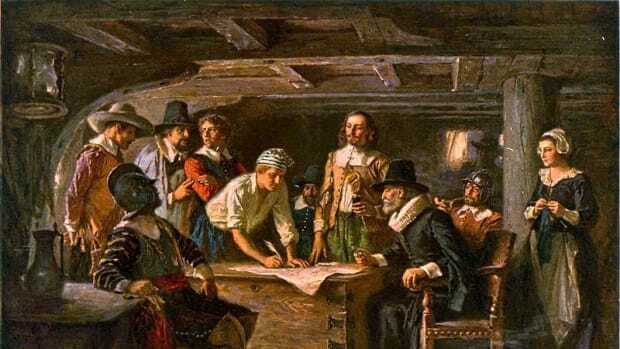 Compared with later groups who founded colonies in New England, such as the Puritans, the Pilgrims of Plymouth failed to achieve lasting economic success. 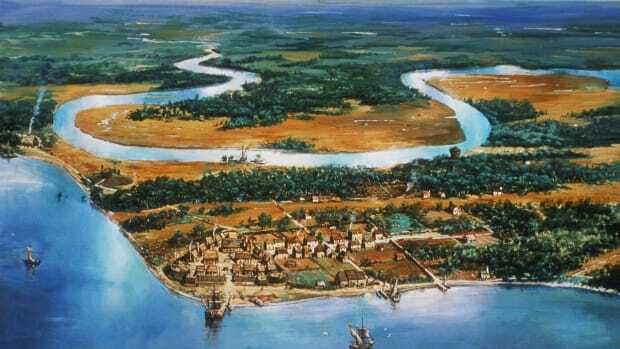 After the early 1630s, some prominent members of the original group, including Brewster, Winslow and Standish, left the colony to found their own communities. The cost of fighting King Philip’s War further damaged the colony’s struggling economy. Less than a decade after the war King James II appointed a colonial governor to rule over New England, and in 1692, Plymouth was absorbed into the larger entity of Massachusetts. Bradford and the other Plymouth settlers were not originally known as Pilgrims, but as “Old Comers.” This changed after the discovery of a manuscript by Bradford in which he called the settlers who left Holland “saints” and “pilgrimes.” In 1820, at a bicentennial celebration of the colony’s founding, the orator Daniel Webster referred to “Pilgrim Fathers,” and the term stuck.